Having educated himself about the nature, mentality, and tactics of abuse (entitlement, power-control, justification), the pastor will be enabled to recognize abuse when it is described to him by an abuse victim, normally one of his own flock. We will refer to the victim as a female since abuse is most often a gender specific malady, i.e., most abusers are men. Power is at the root of abuse and men generally possess more power than women, though there are exceptions. At this point the pastor has believed the woman who has come to him. She will quite often be very confused herself about what is happening to her and may not even use the word “abuse.” This confusion is a product of the abuser’s tactics and a typical sign that abuse is indeed occurring. The pastor will also have taken steps to protect the victim, such steps ranging from keeping her report confidential from the abuser, reporting it to the police when required, and providing safe haven for her as necessary. Referring her to the local women’s resource center is also very advisable. Either they, or the pastor, should provide her with materials (books, online resources, etc.) so that she can begin to educate herself about what is happening to her. What should the pastor do now? First, he must come to terms with his own fears and confusion. 1Tim 5:20 As for those who persist in sin, rebuke them in the presence of all, so that the rest may stand in fear. 21 In the presence of God and of Christ Jesus and of the elect angels I charge you to keep these rules without prejudging, doing nothing from partiality. Standing with the victim means standing with the weak and oppressed, and such a stand is always costly to all who resolve to make it. Effecting justice for the victim may divide the pastor’s congregation as the abuser uses his facade of eminent saintliness to deceive and lead members astray as allies for him. A pastor could conceivably lose his job. The abuser will hate all who expose him and often will level threats against leaders who stand for the victim. Doing justice is costly. And yet we must do it if we are going to obey our Lord. This brings us to a central question: What shall the pastor do now with the abuser? Many churches and pastors do, essentially, nothing. They take some superficial, ineffective measures and then hope that the whole mess will just go away. And that always translates into siding with the abuser, hoping that the victim will go away. Remember, passivity in these cases is not passive. Rather, it is an active siding with the abuser against the victim. It is, in the end, cowardice. So, what to do? Once the pastor is knowledgeable regarding abuse, he will begin to see that abusers, as we define them here, very, very rarely change. In fact, I tell abuse victims to base their plans and decisions on the assumption that their abuser is what he is and will never change. I have yet to see genuine repentance in an abuser, especially in the hardest kind of all – those who have been pretending to be holy saints in the church. The primary ministry of the local church must be to the victim, not the perpetrator. What, then, is a pastor to do with an exposed abuser who is a member of his church? Firstly, the pastor’s duty is to not be taken in by the deceptions, lies, and false repentance of the abuser; secondly, he must exclude the abuser from the church in order to provide a safe environment for the victim. Pastors, please think this through very, very carefully. Consider just what kind of a person this abuser is. He is an individual who has no problem wickedly abusing his wife and children “behind the scenes” and then boldly putting on his mask of an eminent saint when he is at church or visible to others. Think carefully about what kind of mentality such hypocrisy requires. As you think about it, you should come to realize that here is a man who has a virtually inoperable conscience and who is polished in his ability to deceive. Such a person (who is often a sociopath) cannot be dealt with as we would deal with others. Any notions that you will be able to “reach his heart” and lead him to repentance by showing him the grief, pain, and turmoil he is causing, are an exercise in naivete. The wolf will merely curl his lips and lick his chops when you point him to the suffering sheep. [In regard to coming to a better understanding of the sociopathic mentality, I highly recommend In Sheep’s Clothing by George Simon, Jr., as well as his book Character Disturbance. Fool-Proofing Your Life by Jan Silvious is excellent, as well as Without Conscience by Robert Hare]. The pastor must be familiar with the tactics of the abuser because at this point, those tactics will be pressed into double-duty by the abuser as he works to shift blame from himself to the victim, to the pastor, and to anyone else he can accuse. Abusers will never admit guilt; they will never own their evil; they are never wrong. [With the exception of their tactic of “admitting” to just a partial wrongdoing in order to lure the pastor and victim into believing the rest of what they claim]. Their lies and explanations can be ingeniously crafted and the person who is uneducated about abuse will most certainly be drawn in by them. Talking with them can be akin to chatting with the devil himself. If ongoing counseling for the abuser is not a primary or frequent course for the pastor, how shall we deal with the abuser? (Remember, couple’s counseling is not appropriate in these cases). After reporting the abuser to the police if required, and only after consulting and planning with the victim, the abuser must eventually be confronted with his sin. This may take one of several routes. If the victim has obtained a restraining order, for example, then the church can simply affirm the order’s requirements that the abuser keep away from the church and thus from the victim. In other cases, the pastor and church leaders will need to directly meet with the abuser and confront him with the charges against him. Once again, a thorough knowledge of abuse is invaluable at this point and will enable the pastor to recognize typical tactics that the abuser will resort to when confronted. Normally, church discipline must be exercised at this point and the offender put out of the church. This kind of sin is of the genre of that described in 1 Corinthians 5 that is so serious it must be dealt with quickly and the offender excluded from the body of Christ. Even if the abuser claims repentance, he must be required to “bring forth fruits” in keeping with real repentance. Any short-term “fruit” is false and must not be accepted. 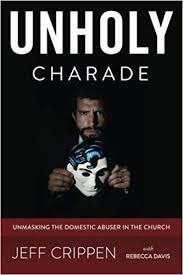 Regardless, the abuser simply cannot remain in the church where his victim is. In summary, the pastor’s duty to the abuser is secondary to his duty to the victim. exclude the abuser from the congregation in order to protect the victim and the flock. All of these actions will be costly. And this brings us around to this whole matter of repentance, forgiveness, and reconciliation. How the church has gone wrong in these areas! Countless abusers have been enabled in their evil and countless victims have been oppressed through their fellow Christians’ distortions of these crucial subjects. Aren’t we required by Christ to forgive when someone says they are “sorry”? Doesn’t forgiveness necessarily require reconciliation? And just what is real repentance, anyway? What about “70 times 7”? To these matters we will turn in subsequent articles in this series. Abusers never change. They may stop abusing for awhile but such is part of the cycle of abuse, it’s the setup and the luring. Most abusers have excellent impression management skills. And I believe it was Robert Hare, in his study of psychopaths/sociopaths, that he remarked on how he’d be sitting across from one, knowing this guy (in prison) in a full-blown psychopath, done atrocious, wicked, evil, violent things, and yet the guy presents as so normal, has such great impression management skills, that even he found himself being taken in. I’m pretty sure it was Robert Hare, and it was when he was coming up with his psychopath checklist/scale. And despite any crocodile tears or false displays of distress, abusers are extremely happy with themselves and most live very happy lives since abuse tends to enslave and makes themselves into mini-gods, where everyone caters to them out of fear of further abuse and greater harm.